← Sometimes When You’re a Homeowner . . . I know I haven’t posted anything about our chickens yet (like the fact that we got baby chicks, built a coop, and have been raising them for 8 weeks), but I figured I should start somewhere. 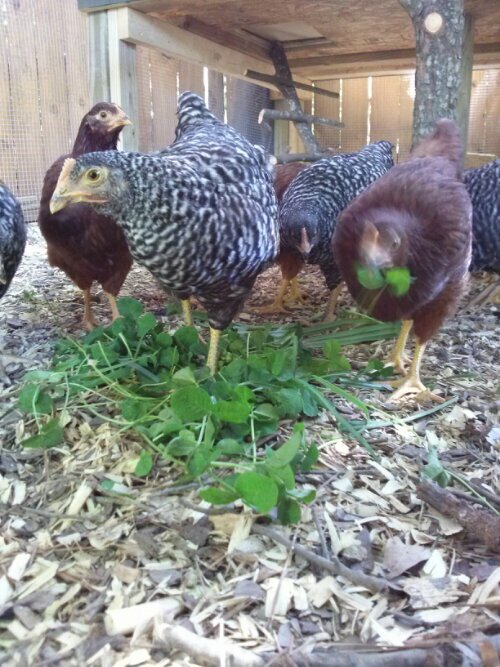 Here’s a photo of our ladies enjoying a few handfuls of clover and grass I just ripped out of the yard.